This sophisticated military hardware is adding significantly to the Russian Armed Forces' defense capability. The Russian Defense Ministry has published a video of its Tor-M2 surface-to-air missile systems unleashing hell at the Kapustin Yar test range in southern Russia's Astrakhan region. The footage showed the Tor-M2 systems destroying an array of simulated enemy targets, including aircraft, drones, missiles and air bombs at an altitude of up to 15 kilometers. The Tor-M2 is designed to obliterate planes, helicopters, unmanned aerial vehicles, guided missiles and other elements of precision weapons at medium, low and extremely low altitudes. The system is capable of detecting targets while on the move and can destroy them day and night, as well as in bad weather and even when electronic jamming is being used. 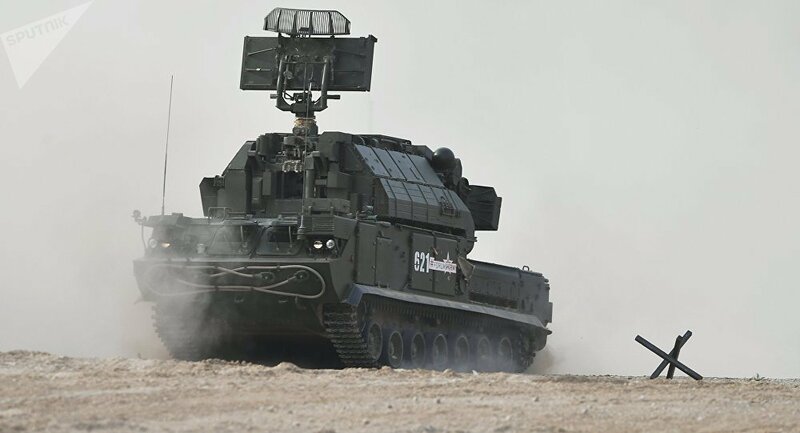 The Tor-M2 is widely known for its high maneuverability, mobility, short reaction time and automation of combat operations.